Gather your army of friends for an adventure in the Dragon Queen’s palatial hotel in search of The Dragon Eggs. 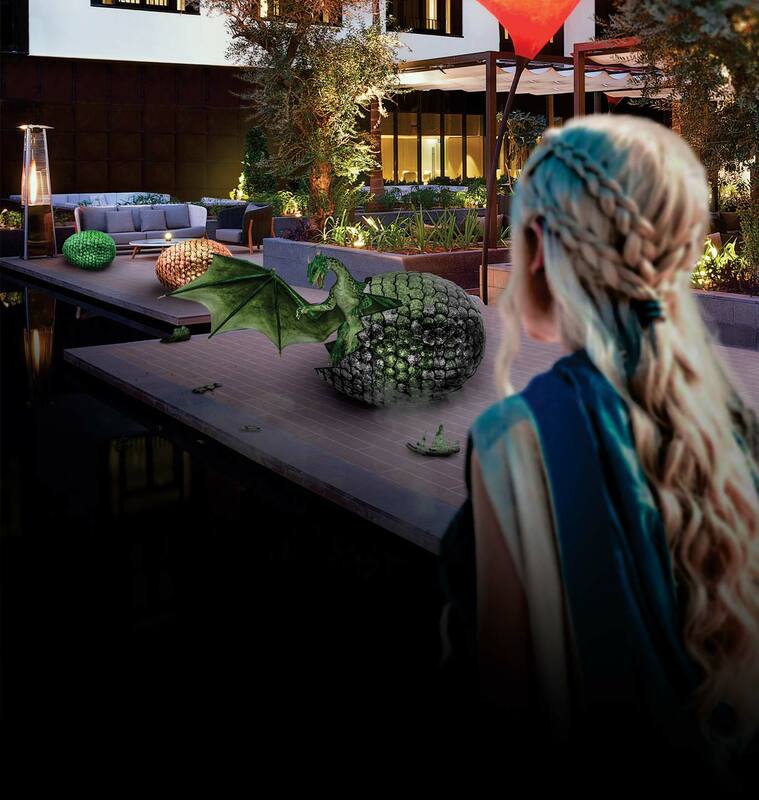 Arriving from the East, the Dragon Easter Egg Hunt will take you around the hotel. To impress the Dragon Queen and to gain a seat in her court as one of her ‘Fire Lords’ you must find all three concealed Dragon Eggs. Remember, only the bravest and most cunning can gain a seat next to the Mother of Dragons. The army (of friends) to complete the challenge in the fastest time will win a free night stay** at La Ville Hotel & Suites; and a free Escape Hunt game at Galleria Mall, Dubai. For bookings call +971 (0)4 433 444 73 or email dubai.events@escapehunt.com.